Southern California’s often-overlooked waterfront will finally have an oversight committee. 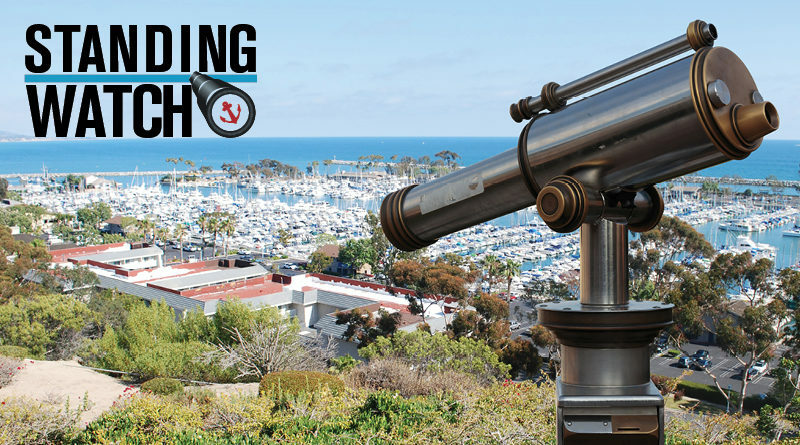 HUNTINGTON BEACH — It’s not quite a new Sheriff in town but Huntington Harbour will finally have a formalized oversight committee addressing day-to-day issues at one of the most overlooked boating destinations in Southern California. The city of Huntington Beach recently voted to establish a Harbor Commission for the Huntington Harbour area. Its purpose would be advisory, with members of the commission providing advice to the City Council on infrastructure, safety, water quality and Municipal Code amendments. Sitting on the commission would be seven members, approved by Huntington Beach’s City Council. Two council liaisons would also serve on the commission. Each commissioner’s term would last for four years; all commissioners are limited to serving two terms. The issues commissioners would discuss and deliberate are no different than any other advisory board of its type would encounter: dredging, water use, watercraft and vessel operation, capital improvements and long-range planning. Huntington Beach’s decision to create an advisory board to oversee the harbor area is a long time coming. Huntington Harbour is the last waterfront venue in Southern California to not have some sort of formal committee or agency advising on or governing issues affecting the waterfront. Orange County’s northernmost harbor, of course, is quite unique. Many of the slips and docks at the waterfront venue are attached to private residences. Local boaters have to navigate through a national wildlife refuge a naval weapons station en route to the open ocean. Through it all Huntington Harbour might be closest thing to an undiscovered frontier. The Log, to be sure, rarely covers the happenings or musings of Huntington Harbour, save for the one-time cover story on watercraft/vessel safety or occasional piece on Christmas boat parades. It’s quite intriguing, really, how Huntington Harbour could have went this long without a dedicated advisory board or committee to give policymakers input on what matters most to local users of the north Orange County waterfront. Huntington Harbour boaters and watercraft users will certainly have their own set of issues to address with the new harbor commission, once it’s officially formed and operational. The broader takeaway here, of course, is the recent Huntington Beach City Council action shows a specialized committee or commission for harbor-related topics is a necessity when it comes to public process and involvement. Boaters and other watercraft users from Chula Vista to Santa Barbara now have some form of representation on the local or regional level. It’s imperative for boaters and watercraft users to actually interact with their respective committees and commissions. There are, after all, so many issues directly affecting boaters and watercraft users, such as water quality, slip fees, navigational hazards, sea level rise, marine debris and the co-existence of boaters with kayakers and standup paddleboard users, to name a few. Some issues are the same regardless of location, others are specific to a certain marina or harbor, but the point remains the same: policymakers won’t address your needs unless you’re actively involved with the process. YES! Huntington Harbour needs representation and involvement of local residents. We have an abundance of issues, including aging infrastructure and boat access through Anaheim Bay; cleanliness and storm run-off pollution. Hopefully our best and brightest will step forward to provide needed leadership! Below is a list of all the harbor committees and commissions in Southern California. Most of these agencies or advisory boards meet monthly. Stay in touch with them regularly and speak out about the issues affecting your harbor or marina.